Mightier Than Sword just got a new test press in. GET EXCITED BLINK FANS! 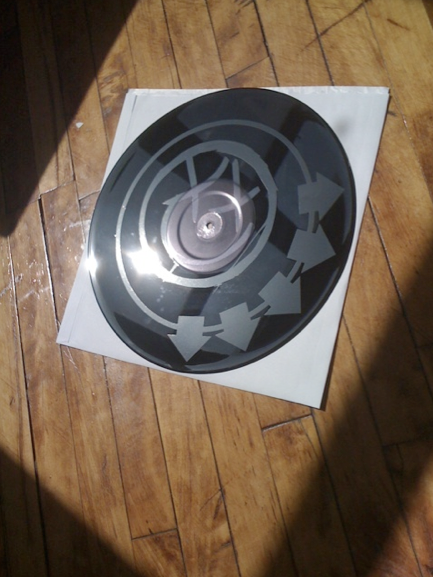 it has 5 arrows because it is a vinyl printing of their untitled that had their new-at-the-time smiley logo. this is their 2003 album on vinyl. how are you guys confused about this? They're confused because the majority of Blink-182 fans are young, idiots, and only buy vinyl to be cool.